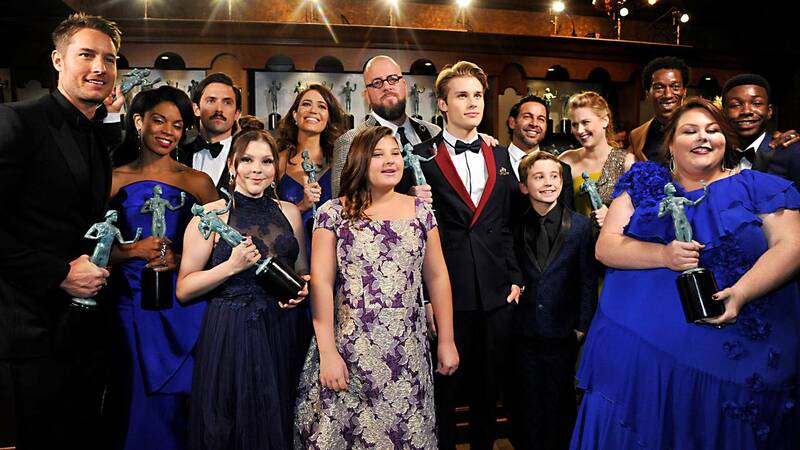 The winners of outstanding performance by an ensemble cast in a drama series, "This is Us," pose in the trophy room at the 24th Annual Screen Actors Guild Awards. (CNN) - "This Is Us" scored a big win for its Big 3 and the rest of the cast. "This Is Us" was up against tough competition in the drama category. The cast of "The Crown," "Game of Thrones," "Stranger Things," and "The Handmaid's Tale" were all in the running.